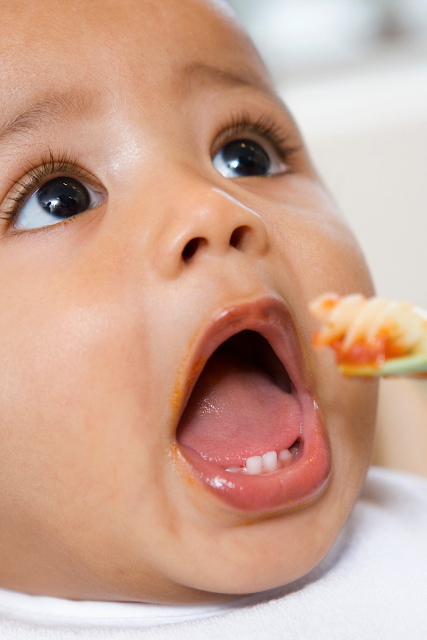 Usually by four to six months, a baby has to be introduced to food. If cooking is not your forte, the thought of preparing food for your little one can bring a lot of stress especially if you are a working mom or a first-time mother. It may sound cliche but preparing nourishing food for your baby is really achievable with a little knowledge and planning. Some pediatric experts recommend introducing food to your baby as early as four months. However, there are also some pediatricians who suggest o wait until your baby is six months old before feeding your infant with food aside from breast or bottle milk. It is imperative that you consult with your pediatrician to determine if you can introduce food to your baby as his or her digestive system may not be ready yet. By six months, your baby will need more than just your breast milk or milk formula. However, most babies will not seem interested to eat food other than milk. Do not be disappointed. The first time that you will introduce food to your baby is not going to be like what you see in TV commercials where they make it look so effortlessly easy to feed babies. In reality, your baby may not eat the food that you prepared for him or her at all. If your baby is not interested to eat, that's fine and completely normal at least for the first time or after several attempts. The first foods for your baby should be nutritious to promote a healthy development and to provide him or her vitamins and minerals against common illnesses. There are commercial baby foods such as rice cereals and multi-grain cereals that you can introduce to your little one. Bear in mind that these commercial baby foods are nor intended to be fed every meal. They only offer convenience and they lack the texture that is needed to stimulate you baby's chewing skills. In addition to that, they can be very costly. Boiling or steaming fresh vegetables is the traditional first food that you can offer your baby. Pumpkin, carrot, or potato are some of the vegetables that you can puree, but try one at a time, so you can determine if your baby loves the taste or if he or she gets an allergic reaction from it. Try well-ripened fruits such as bananas because it is easy to digest. Your baby will get used to spoon feeding after several weeks. Do remember that milk is still main part of his diet. Gradually introduce new tastes and textures. Within two months after introducing food, your baby may be enjoying three meals a day. Your baby may not complain about the food that you feed him or her, but variety is important. 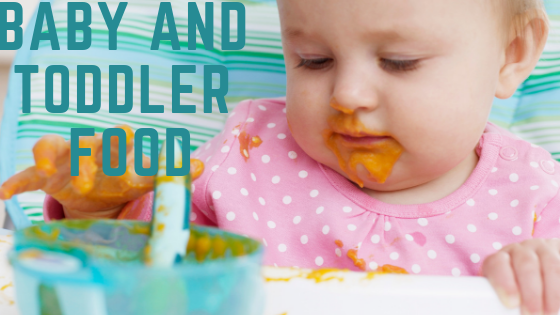 Discover new foods that might interest your little one. in a short while, your baby will have his or her own chair in the dining table eating along with the rest of the family. Introducing food to your baby should not be a stressful time for you. Enjoy this chapter of your baby's development.